If you own a car, you would be pretty familiar with all the utility that it has to offer. Regardless of the nature of your requirement, you could always take your car out for a drive whenever you feel or need like it. A car could be able to serve you well only when you ensure the fact that it is kept in the right shape. Different types of vehicles normally require routine maintenance while sometimes they also come across some kind of unusual issues as well. Be it a routine maintenance matter or some unusual problem, it is very important for you to take immediate action and do whatever it takes to restore the car back into its original assembly so that it might be able to continue serving you well by fulfilling your needs. The importance of keeping your car properly maintained all the time can never be emphasized enough. One very handy tool that might prove to be really helpful in keeping you on top of the exact condition of your vehicle is known as an automotive code reader. An automotive code reader may be referred to as a very simple product that is designed to check the credentials of the ECU deployed in a vehicle. 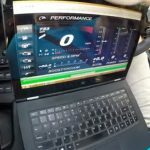 In simpler words, it may be thought of as a device that when connected to a car, accesses the car’s computer and gets back to us with a report containing vital information on the actual condition of the car. It lets you know if everything is working properly and nothing is in violation of the usual SOPs, and it helps you find out in case something is not functioning right. So it may be stated that an automotive code reader is a great device that helps you make sure that your car is not experiencing any unwanted problems or issues, making it a great device. Since an automotive code reader is a great device that proves to be really helpful, people have been buying it very frequently. There are different kinds of automotive code readers that offer different types of functionalities. So if you are going to buy this device, you might as well should do it the right way. In order to help you out with that, this article discusses 5 most common mistakes that are normally made by people when they go out buying an automotive code reader, leading them to a purchase that is far from the best. Lack of knowledge about a product that you are planning on buying can always lead your way into trouble as you eventually end up buying a product that is nothing but a waste of money. Majority of the people have no idea about how an automotive code reader actually works. That’s the reason why they are unable to identify the right product from the wrong one. This leads them to either paying a lot more than they are supposed to, or they end up buying an inferior quality device. If you are interested in steering clear of that, you might want to check out the theme of the functionalities carried out by an automotive code reader in the paragraph below. An automotive code reader is nothing but a simple electronic device designed to read some error codes off of a car’s ECU. It is connected into the DLC port of a vehicle which gives it access to the ECU of the car. The device pings the car’s computer, asking it for the required information. In response to that request, the computer generates a responding signal and transmits it back to the automotive code reader and that’s how it notifies you about what’s going wrong with your car. Automotive code readers are available in a number of different kinds. All of them are designed to offer you different levels of utility by offering different kinds of functionality. Some of them are the most basic ones while the others are more advanced and evolved. Before you go shopping for your automotive code reader, it is very important for you to know what you are going after. So in order to get you educated with that, some of the most commonly used types of automotive code readers along with some details are listed below. The most basic automotive code readers offer nothing else but some basic details on the error messages that are generated by a vehicle. For everything that is going wrong with a car, it usually has an error code that defines the ongoing problem. So when you connect the very basic automotive code reader to your car, it gets access to your car’s ECU and retrieves the relevant error codes associated with it. All you get out of this kind of code readers is access to a few error codes which you might not be able to decode yourself. Therefore, the basic models of an automotive code reader are not strongly recommended. If you are spending some of your hard earned money on this kind of device, you might as well do it the right way. In case you are someone who likes to keep track of their vehicle and fix it for the ongoing issues, buying the DIY automotive code reader might be the right fit for you. It may be thought of as a semi professional code reader that has a lot more to offer in comparison to the most basic models of automotive code readers. When you plug a DIY automotive code reader into a car, it not only generates the relevant error codes but it also presents some very valuable information on the interpretation of the ongoing issue. Some of the models even suggest a few solutions to get rid of the situation as well. So if you are planning on buying an automotive code reader that offers the best value for money, I would strongly recommend you to buy this one. The professional automotive code readers are top end devices that are designed to work in highly advanced levels like in case of a car manufacturing plant. It offers detailed information on every single component of a vehicle. While this information is very extensive, it can be a little overwhelming as well. In other words, this kind of devices generates information in highly professional terms and you might not be able to understand it so well. Therefore, it you are buying an automotive code reader for your own car, there is no need to buy such a bulky device while you could do really well with a DIY one. Before you buy anything, it is very important to be aware of how to use it. This is the only way that you could be able to make the best use out of a device. The very same principle applies when it comes to shopping for an automotive code reader. In order to make the right purchase, knowing how it is used can come in really handy. It may give you an idea on what its components are and which piece gets connected to which port and you can make an informed decision of buying a product that appears to be the best choice. So if you are planning on buying an automotive code reader for your car, the following information on using such a device can prove to be really helpful to you. The first thing you need to do in order to operate an automotive code reader the best possible way is to get a relevant app for the device. There are several different applications for iPhone and android users. It is recommended to look for a good app by checking out its reviews and then downloading it to your smartphone or any other smart device. Once you are done, you need to sync it to your automotive code reader and then its play time. After configuring your code reader and the app, you need to plug the reader into the car’s DLC port. When you are done, initiate a scan and the device would come up with all the information that you have been planning on acquiring. 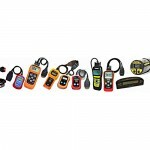 Knowing all of that information, you can check out your new code reader for the offered quality of connectors and other stuff. When you know where and how to use them, you can check every single piece of equipment in order to ensure you are making the best purchasing choice. Lucky for us, we live in a technologically advanced and evolved age where every kind of information on every possible subject is easily accessible on the internet. All we need to do is to make a few taps of our finger and we would be in access to a massive ocean of information regarding whatever it is that we are looking for. The case for buying an automotive code reader is very similar to that. Just like the hundreds of thousands of other products available on the internet, there also is a lot of information about the kind of automotive code reader you are planning on buying. If you have a certain model in mind, it is highly recommended not to buy it until you check it out on the internet for reviews posted about this product by its existing users. The people who are actually using a product usually have a pretty good idea about what exactly does it have to offer. In other words, they know if the device is capable of delivering what its manufacturers claim it to be capable of delivering. So if you are interested in finding that out, it is strongly recommended to check out different views on the product that you have been planning on buying. This way, you would be able to understand if your desired product has been offering what it promises to offer or not. Never buy a device if you are unable to find good reviews about it and the negative ones are dominating over the positive ones. As mentioned above, there are different types of automotive code readers that offer different types of utilities and functionalities. Connectivity options is a very important consideration when it comes to purchasing an automotive code reader. Majority of these devices normally offer compatibility to different types of devices like computers, smartphones, tablets and other similar devices. In order to get connected to these devices, the code readers incorporate different communication means like data cables, Bluetooth, wifi, etc. Most of the people do not have any idea about how useful the device could be if it offers the required connectivity features. So they buy whatever product appears to be good without worrying about what kind of connectivity features it offers. If you are interested in purchasing an automotive code reader, it is highly recommended to take a peek at the connectivity offered by the device. Different products normally offer connectivity through USB cables, Bluetooth and WiFi as well. It is highly recommended to buy a product that offers all of these options. This way you would be able to connect your device most conveniently. In addition to the above mentioned mistakes, there are a few other things that must be kept in mind before you go out shopping for your automotive code reader. They are listed in the paragraphs below. You can go through them to be able to make the best purchasing decision. One important thing to keep in mind before you buy your automotive code reader is to check out the compatibility it offers for different kinds of software applications. There is a variety of different kinds of applications available on the internet. You can check them out and then check out the offered specs of the reader that you are planning on buying. If they seem to be in proper synchronization with each other, you are good to go. Don’t buy the product if the scenario is otherwise. Automotive code readers are manufactured by a number of different companies as they have been gaining a lot of popularity in the market these days. Different manufacturers offer different kinds of follow ups when it comes to after sale services. Some products offer a limited warranty for up to many years while others may not offer any privilege of such kind. So it is really important to do a little background check on the manufacturing company before you buy their products. It is highly recommended to go for a product that is manufactured by a renowned company so that you may not have to deal with any inconveniences later. Just like a cell phone or a computer, automotive code readers also work on some sort of operating system. Similar to the operating systems used by other devices, the code readers’ operating systems also have the capacity to evolve. So in order to educate them about all the latest errors that might arise in a vehicle, the manufacturers of these code readers keep on releasing firmware updates for their devices every once in a while. So before you buy a product, it is highly recommended to check if the parent company is still releasing firmware updates for the product that you are planning on buying. If you have gone through the information provided in the above sections, you would agree upon the fact that automotive code readers are handy devices that have a lot to offer. We would also have an agreement upon the fact that people make a lot of mistakes when it comes to making the right purchase of automotive code readers. Therefore, if you are planning on buying such a device, you should do it the right way in order to get the maximum value for your money. Always carry out a little research on the product you plan on buying. This way you would be able to find out all about the product that you could possibly do in theory and it would eventually lead you towards making the most appropriate choice. ← What Does a VIN Number Check Reveal?